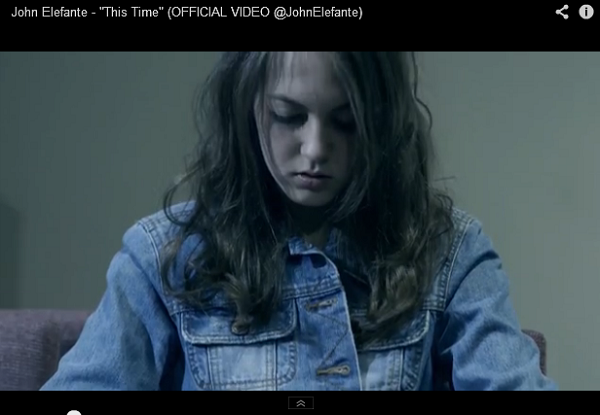 John Elefante, former lead singer of the band, Kansas, has an adopted daughter who inspired his latest pro-life work. He produced “This Time, a song and video telling the story of how his daughter’s life was saved. The song appears on his latest album,. “On My Way to the Sun”. Elefante is supporting Online for Life, a group which reaches out to women and men who are dealing with an unplanned pregnancy, and offering them life affirming assistance and local resources. Number six in the Live Action Late Term Abortion film series “Inhuman” features audio of Carmen Landau and Shelly Sella of the South West Women’s Options Clinic in Albuquerque, New Mexico. Landau uses lethal injection to kill the baby on day 1, (the counselor describes intracranial injection), does an ultrasound examination on day 2 to make sure injection worked, then induces labor for delivery of the dead baby on the third day. Landau has a hotel toilet abortion protocol for those women who begin to deliver too early in the induction process. If they start to deliver in the hotel room, they are to sit on the potty and dial the abortion clinic personnel. The women are specifically instructed not to dial 911 because that might interrupt the process and change the outcome, particularly if the baby happened to be born alive. Click to hear for yourself the information which Live Action’s pregnant investigator received about the abortion procedure at Landau’s clinic. 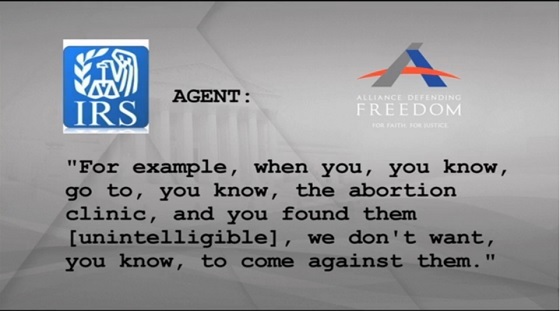 No protesting at abortion clinics allowed, is the message of IRS agent Sherry Wan to a pro-life group seeking tax exempt status for their non-profit. Ms Wan is heard speaking to Ania Joseph during a phone call recorded in March of 2012. The audio and transcript is courtesy of Alliance Defending Freedom. Click HERE to listen. 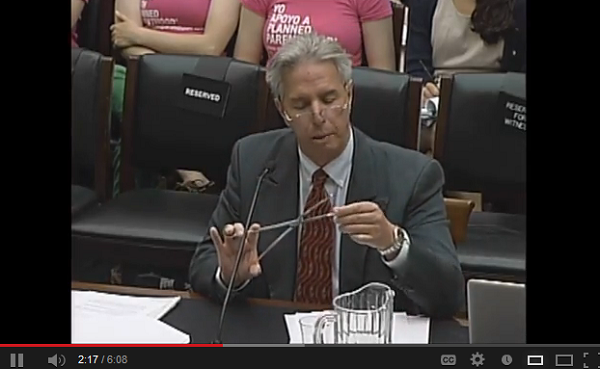 Ob-Gyn Who Stopped his Abortion Practice Testifies in Favor of Limiting Abortions to 20 Weeks. Dr Anthony P Levatino MD, an Ob-Gyn practitioner in New Mexico has performed about 1200 abortions during his career, with many of them being in the second trimester. After reevaluating the issue of abortion, he discontinued that part of his practice, and is now supporting Trent Frank’s House Bill to limit abortions to less than 20 weeks gestation. Listen to Dr. Levatino’s testimony HERE. One of his most salient points is that late term abortion is not useful for saving the life of a woman. The procedure is much too long and harrowing in contrast to the option of delivering a live infant. Late term abortionist Leroy Carhartt may lose the sole remaining nurse, Lindsey Creekmore, who works at his suburban Omaha, Nebraska clinic. The state regulators are circling like vultures over this abortion clinic. Records show a pattern of improper drug administration and compliance, which could endanger patients served by the abortion clinic. Carhartt operates another infamous clinic in Germantown, MD, and commutes between the two. It seems that another nurse, who quite the Omaha clinic in April, 2011, has blown the whistle on practices at the facility. Part of the information which provides the impetus for Lindsey Creekmore’s prospective disciplinary hearing, scheduled for August 5, comes from that unnamed individual. It would appear that Ms. Creekmore lost the whistleblower race, and her nursing license may be at risk. 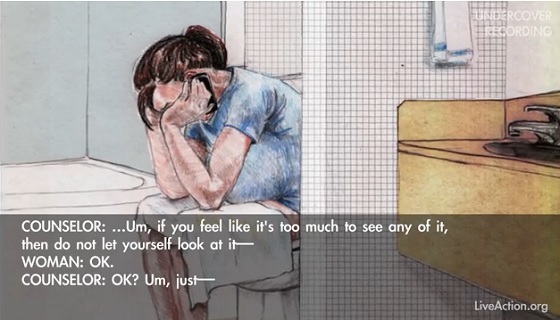 It is recommended that abortion clinic workers who are aware of substandard practices at their place of employment consider contacting the people at ATTWN.org, or operationrescue.org or clinicworker.com, an outreach of Life Dynamics, in order to avoid being caught on the wrong side of the clinic cleanup trend. Barbara Willke, 90 year old nurse, mother, and grandma of the pro-life movement, has gone to God this weekend. She was married almost 65 years to Dr. Jack Willke, and both of them traveled all over the U.S. and to scores of other countries on the lecture circuit, educating people about the right to life and about human sexuality. They co-founded Right to Life of Greater Cincinnati, and headed up Life Issues Institute which are left behind to continue their work. The Willkes published the Handbook on Abortion in 1971, prior to Roe V Wade, and it became an early reference book of the pro-life movement. They have since published numerous other books, and have a history of the movement in the works, which is yet to be published. Barbara has said that “abortion contains the seeds of its own destruction”. She noted that those who have suffered the ill effects of abortion in the past remain to advise younger people against it, and this is fueling the huge decline in abortions among teens. Mrs. Willke was mom to six children, one of them adopted, 22 grandchildren, and a number of foster children. She kept a schedule which would wear out most people, mentoring and inspiring numerous younger pro-life advocates. She talked and walked Prolife-ism. Profound respect and prayers for Barbara Willke, her husband and family from the Pharmer. Why do Pro-lifers Photograph Ambulances at Abortion Clinics? 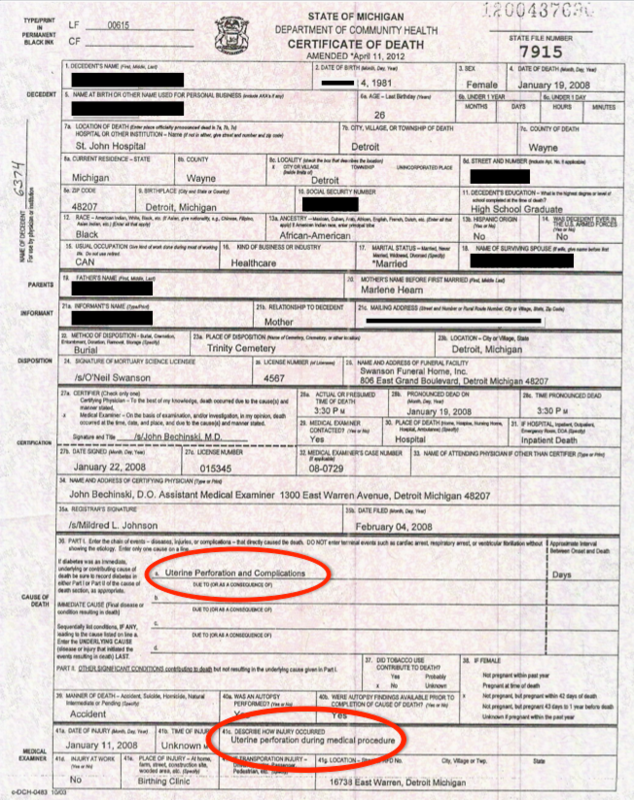 If you click the image below, you’ll see a bigger death certificate of a woman killed by abortion by Reginald Sharpe in 2008. The problem is that the certificate does not really specify the cause of death. Not only that, it refers to Sharpe’s abortion clinic as a BIRTHING CENTER, on the bottom line. It’s easy to see from this one example that no one is getting an accurate count of women who are killed, along with their babies, at abortion clinics. Now that pro-lifers are using their cell phones to record the ambulance runs to abortion clinics, and using FOIA requests to obtain 911 call transcripts, people can finally begin to understand that abortion is not nearly as safe as has been represented. This blog is searchable, and will continue to feature some of the ambulance runs. Operation Rescue, Real Choice , Abortion Violence, and Jill Stanek’s blog are good places to find more information on abortion related health hazards. 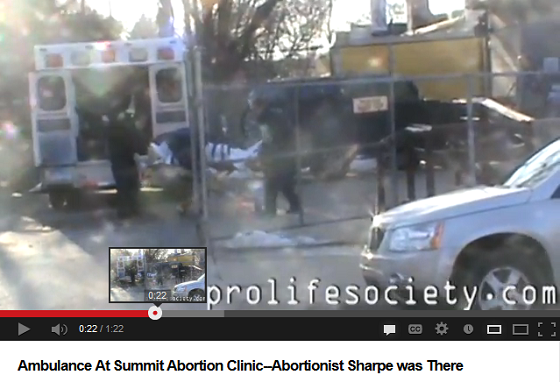 This video is taken at the Summit Medical Services where Reginald Sharpe was in attendance on March 23, 2013. Sharpe is a new hire at this clinic, after closing his own clinics in Detroit and Livonia Michigan. Many more botched abortions can be tracked using this means, and use of 911 records, than by ferreting out death certificates and sifting through them to reinterpret the inaccurate information. NAACP: National Association for the Abortion of Colored People | LifeNews.com. < — Click it! Get to know the Radiance Foundation. It’s a pro-life organization which calls special attention to the genocide of Black babies being carried out in the U.S. by our elitists. Ryan Bomberger has a legal war going on with the NAACP now. They threatened him with a suit for calling them the National Association for the ABORTION of Colored People. Ryan promptly sued the NAACP for intimidation. Racist elitists no longer need the Ku Klux Klan to control blacks; they have Planned Parenthood. And Planned Parenthood has the NAACP on a leash. Pastors challenge IRS rule with partisan talk – BakersfieldCalifornian.com. What makes most non profit 501 (C)(3) tax exempt groups so quiet about their causes? Why are they afraid to name names, and speak loudly against the politicians who oppose them? On this past Pulpit Freedom Sunday, more than 1500 Pastors openly defied the 1954 IRS regulation which sought to squash political speech by non profit groups, by scaring them with the IRS boogieman. In all these 58 years, the IRS has done next to nothing against politically activist churches and non-profits. The IRS has only succeeded in stripping one church of its tax exempt status, in 1992. That particular church in Binghamton, NY ran newspaper ads against Bill Clinton and his positions on abortion and homosexuality. Since then the IRS has sent only warning letters to a relatively few churches, and since then has had a policy of not enforcing this law. The Pulpit Freedom Sunday supporters believe that the IRS fears losing ground on this First Amendment issue. So…….. Why are so many churches and pro-life 501(c)(3) groups so quiet and polite about the political issues which impinge on their cause? Why don’t they take a chance with their own careers, and income, as so many pro-life health care professionals have been doing? If they led by example, more people would be standing up and taking personal risks to stand up for life. 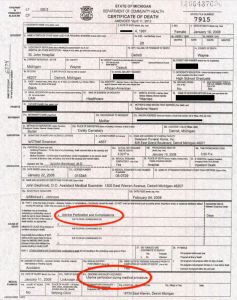 Don’t forget, the supposedly non-profit, tax funded, and tax exempt planned unparenthood has been openly funding and endorsing candidates for years. When FORMER Ohio Rep. Steve Driehaus lost his 2010 bid against Republican Steve Chabot, he threw a temper tantrum directed at the Susan B. Anthony list. The latter pro-life group had put up billboards citing Driehaus for his abortion support, because he voted in favor of Obamacare. At first Driehaus pursued a criminal charges against Marjorie Dannefelser, of the SBA list, with the Ohio Elections board. That effort was abandoned for an attempt to turn his loss in to money with a civil defamation suit, claiming that the SBA list cost him his job. This suit was allowed to proceed, but eventually was decided against sore loser, Driehaus, by Judge Timothy Black. This Obama appointed Judge, a former director of planned parenthood, initially supported Driehaus’s legal pursuits, but eventually tipped in favor of the SBA List. Possible inducements for this decision probably included the ACLU’s backing of the SBA List, (and their own interests) as well as the recent Supreme Court decision of the Alvarez vs U.S. (Stolen Valor) case.